Remember That Time ‘WKRP In Cincinnati’ Really Thought Turkeys Could Fly? Orson Welles’ dramatic 1938 reading of H.G. Wells’ The War of the Worlds was nothing compared to the sensation caused by WKRP reporter Les Nessman when he gave a dramatic play by play account of the station’s ill fated turkey drop. Widely hailed as one of the funniest moments in sitcom history, WKRP In Cincinnati’s iconic Turkeys Away episode is one that gets passed around every Thanksgiving more than grandma’s pumpkin pie, and for good reason: it’s absolutely genius. 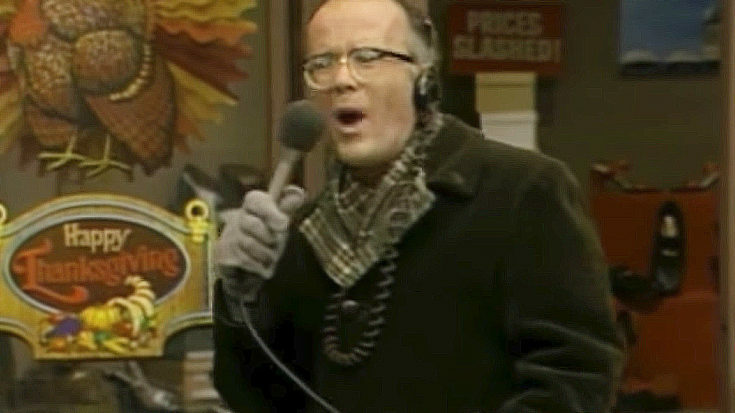 Think about it; despite all the fanfare surrounding turkeys, you never actually see a turkey throughout the entirety of the episode, Les Nessman (portrayed by actor Richard Sanders) relying completely on absolutely brilliant comedic timing to convey the hilarity and horror that is turkeys being dropped onto citizens at Cincinnati’s Pinedale Shopping Mall. 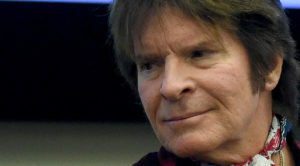 Even the witty repartee back at WKRP is genius, from DJ “Doctor” Johnny Fever’s “For those of you who just tuned in, the Pinedale Shopping Mall has just been bombed with live turkeys! Film at 11!” to the pièce de résistance delivered by station manager Arthur Carlson, “As God is my witness, I thought turkeys could fly,” WKRP In Cincinnati made damn sure that none of us will ever make it through an entire Thanksgiving dinner without someone saying, “Oh, the humanity!” and erupting into laughter when the turkey is placed on the table. Hopefully gently. Because turkeys can’t fly.